I just wanted to drop a note to say thanks for the great service. I've ordered three pairs of skis/bindings from you this season and not only were the prices good but the service and rapid shipping were outstanding. In all cases they were shipped the same day of ordering - I actually could get the skis faster (and cheaper) from Al's than going to my local high-end ski shop. Unbelievable. Thanks again! I just received my DryGuy Sweet 16 unit. I ordered it on Saturday 12/15 and received it on Monday 12/17. The delivery service was incredibly fast and better than I expected. We just had a Nor'easter storm over the weekend and my boots were soaked so the timing could not have been better. ...I just loaded up my boots and the unit is working exactly as indicated. I could not be happier. Great product. Incredibly fast delivery service. Thank you so much. I was extremely happy with doing business with you. Every detail was handled very well and I recieved a great pair of skis. I couldn't be happier with Al's Ski Barn. As a 19 years in the industry as a snowboard school director, coach, and wholesale sportingoods salesperson in Canada, I have dealt with a great number of retailers. I have to say that Untracked.com and Al's Ski Barn offer the best retail services to date. Their prices are very reasonable (even in the mighty US dollar), their staff kept me on the know as far as my order and shipment were concerned, and they were very helpful with their customer service. I will be endorsing untracked.com all my fellow Canadian boarders from here on out. Great job guys. I don't write companies often, but I just want to say that you guys did a superb job of handling my order. My daughter is absolutely tickled with the skiis. They arrived promptly well ahead of anticipated delivery and just in time for Christmas. The order was handled expeditiously, and the up to the minute, hour by hour tracking data you provided was awesome and accurate. And best of all the skiis were about 50% less than I have seen elsewhere. I am impressed!!! Excellent Work- You get two thumbs up and hats off!!!!! I am a [...] Certified ski instructor teaching at a ski area in NY [...] and I want to thank you for a trouble free, quick order. I had my poles stolen last week and needed replacements in a hurry and you guys came through with price and speed. I will certainly inform all my students about your website and tell them to buy all their gear from you. If at anytime you might need a mountain representative please keep me in mind as I would be honored to represent a business such as yours. Thanx again for your speedy service! This is my 3rd or 4th order placed in the last month. I found you while doing a search for Volkl skis. Your prices impressed me, but I was skeptical. Because the 1st order I made were boots for my daughter, I wanted to be sure the ones I had picked out would be a good choice. I called and the individual I spoke with was courteous, friendly and informative. He confirmed my choice so I placed the order. (I just did the same thing for this order). She loves them! 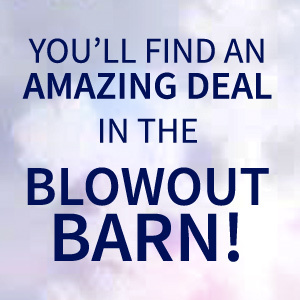 I can't say enough good things about Al's Ski Barn! I LOVE YOU GUYS! Thank you for helping me select my bindings, for the great deals and for the really great service. I'll let all my friends know untracked.com is the best place to do their ski equipment shopping. They already see the results. I've won several races on my new ski & bindings. You were great to deal with and your prices can't be beat. I've already recommended you to my sister. Thank you so much for your quick reply. I ordered boots this morning from you and look forward to ordering from you again. From now on, I will use your website for all my ski/winter-related purchases. [The] skis I ordered came today and they look great. I ordered Atomic skis last year from you and was very satisfied. You didn't disappoint me again with your service, price and quality of product. Thanks. We very rarely take time to praise outstanding service but I must complement Al's for some 'over the top' outstanding customer service. I had purchased 2 ski packages in November and when they arrived one pair was the wrong size. The company, with no questions asked immediately replaced the skis shipped in error and paid the return UPS charge and even mounted them at no charge. (Unheard of as today's ski shop service(?) goes). Then a few weeks ago I had a pole grip break on the pair of new poles I purchased and after e-mailing Al's the problem, Al's immediately replaced the defective grip at no charge and even shipped it a no charge...THAT IS OUTSTANDING CUSTOMER SERVICE and definitely 'over the top' for an e-tailer, or even a bricks and morter retailer. I recommend Al's when ever possible. Thanks again...and I'll be back for more. An Extremely Satisfied Customer. Thank you so very much for your excellent service - I will recommend you to everyone. Thanks again. THANKS !!! Excellent, The Fit is great. And very fast server. I was hesitant to buy my boots on line, but you took away any concerns. [...] Down here in Virginia I've already be talking you guys up -- and yes the stick[er you gave me with the untracked.com logo] is hanging in my office. When they ask where I got the boots, I just point to the sticker. Very satisfied with the service. Next is to convince my Dad [...] that buying online is OK.
Free ground shipping and my order arrived the next day. I am impressed. Thank-you! I received the bindings today that I purchased from you. I greatly appreciate the wonderful communication and service and the prompt shipment. I wish I had a ski shop of your caliber closer to home. Thank you. [My] skis arrived last evening. Exactly as you advertised. very well packed. Perfect transaction. Thanks very much! I would be delighted to do business with you in the future. I ordered my skis at 10 am on Wednesday and they arrived on my doorstep at 1 pm on Thursday! You folks are amazing. Thanks for the great service. Boy you guys are really fast! You mounted the bindings and shipped the skis only the day after we ordered them. You've also answered all my email questions promptly, for both this order and the boots I ordered last month. It's really been nice doing business with you. Thanks again. Great Website, makes shopping online very easy. Your prices are the best anywhere. I have been looking around for a new pair of skiis and your guys had everything I was looking for. Thanks alot. I'll continue to refer my ski buds to your shop as I like the way you do business, plus because of your product knowledge I, or my buds, can buy with confidence. This has been a great experience over most online or catalog ordering experiences because of getting to deal with someone with a name. I have already recommended your site to several people and will continue to do so. And lastly, check out this soldier in need! Ryan, Thanks for the letter....best of Luck over there. We shipped out two pair this afternoon. Share one with a friend. Should get there Monday. When do you ship out? If we go to the mountain this weekend we could get you a few more pair of used ones.. I just recieved that box of goggles that you sent. The new information also is that I will be leaving on Wednesday. Thats too close for my comfort. Heh heh. Anyhow when I get back to work on Monday I will pass them out to folks that still need a pair. [...] Some of our guys need help with their gear as much as I do. [...] Again I'm saying that you guys are the best ever! Thanks again for your generosity. I couldn't believe it. I guess that I got your package just in time!! Now for some sunscreen.....heh heh WHOOH its gonna be hot! Thanks you are the best! !